Let's keep control over our data. UBOS is a Linux distro that aims to make it 10x easier to run server-side apps for yourself, or for your family, on hardware or cloud servers you own. Why give your valuable data to Google or some other data overlord, if you can keep it under your own control? All you need is a spare (physical, virtual, or cloud) computer that can run Linux. UBOS automates much of the administration, so you can get on with life. Want to use Nextcloud instead of Dropbox? Shaarli instead of delicious? An RSS reader or an Internet-of-Things app? 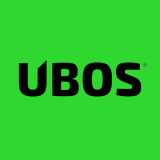 UBOS makes installation and maintenance easy and quick. .. and others. More coming. Request. on an x86 PC (64bit) (bootstick, hard drive, container, VirtualBox, Docker) or cloud (EC2). on a Marvell ESPRESSObin (SDCard, hard drive, container). Plenty of options for more fine-grained control.